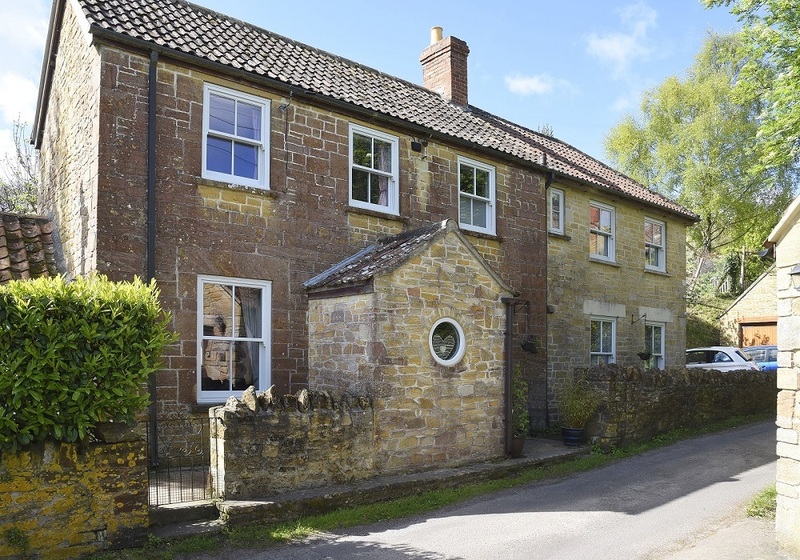 A lovely cottage in the Somerset countryside owned by Miss Gulliford has been restored to its traditional roots thanks to the range at Timber Windows. “the old windows were in for at least 30 years and they weren’t sash windows. 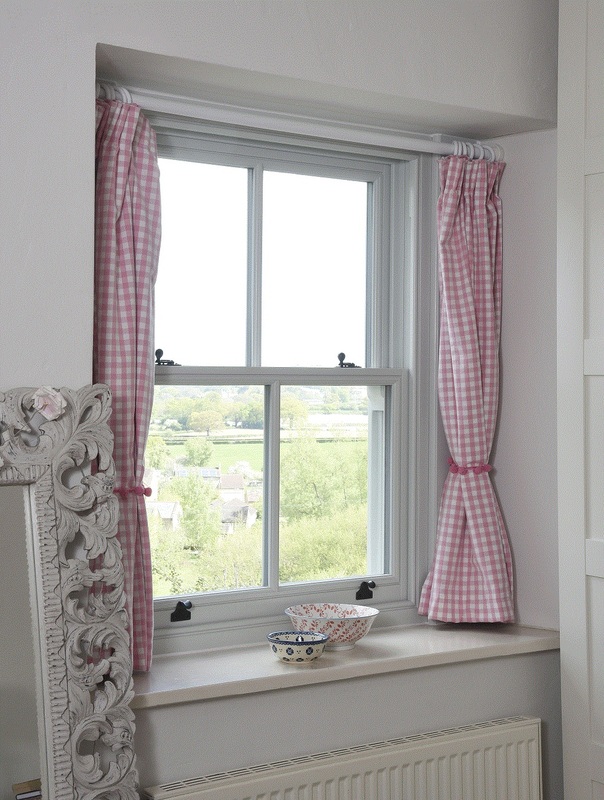 This cottage is perfect for sash windows so we were keen to have these installed”. 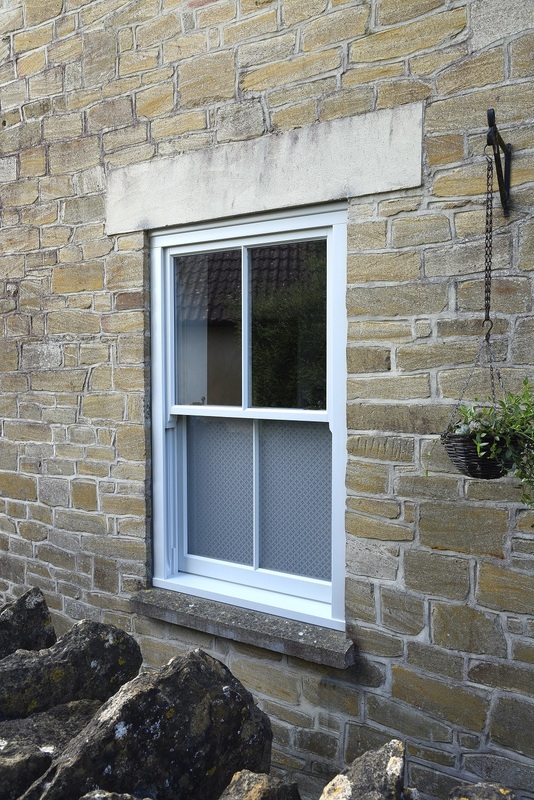 Hidden spring sash window with decorative sash horns, finished in ‘Calm Grey’. Etched Star patterned glass and 27mm astragal glazing bars. Miss Gulliford undertook plenty of research before choosing any one supplier for her windows. “I spent a lot of time looking into different window suppliers. I considered using a local joiner but this looked to be very expensive, not to mention the windows wouldn’t have come painted”. 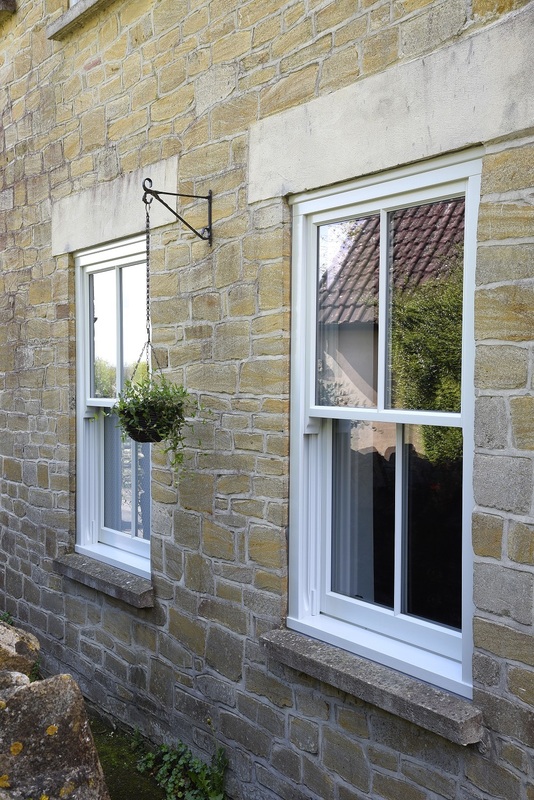 “When I went online to research more, Timber Windows were top of the list for double glazed timber. I then knocked on the door of a friend in Montacute who has Timber Windows’ products installed for more reassurances”. Flush circular window finished in ‘Calm Grey’. A visit to the Timber Windows showroom in Clifton helped Miss Gulliford make the best decision for her property. She compliments the friendly approach of the Timber Windows of Clifton team, which she had not received from another well known, national supplier of windows. she goes on to comment. Hidden spring sash windows with decorative sash horns and 27mm astragal glazing bars, finished in ‘Calm Grey’. Hidden spring sash windows were installed throughout the property, finished in ‘Calm Grey’, with Oil Rubbed Bronze sash hardware and 27mm astragal glazing bars. Cottage casement windows with floating mullions were also installed in the same finish with Black Monkeytail ironmongery and 27mm astragal glazing bars. A bespoke, flush circular window was also installed, contributing to the unique appearance of the cottage. All are manufactured in Engineered European Redwood. This has given the cottage back its intended look that had been lost with the previously installed windows. Hidden spring sash windows with decorative sash horns and 27mm astragal glazing bars. Also, a flush circular window. All finished in ‘Calm Grey’. 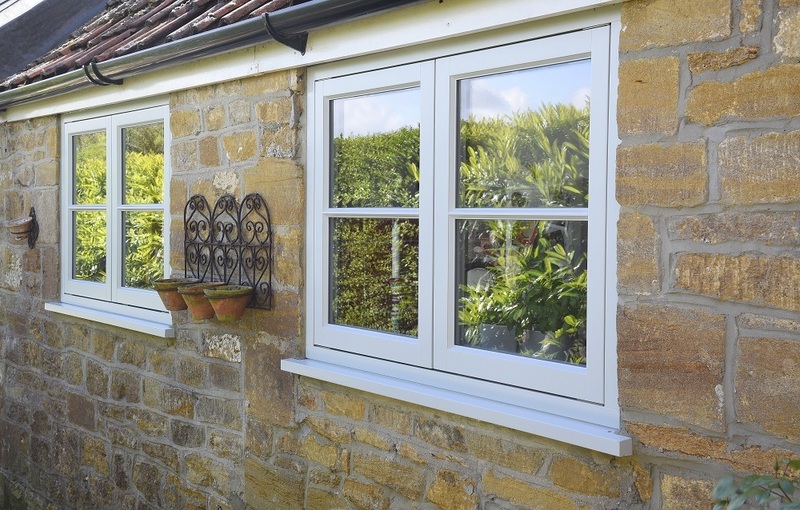 Cottage casement windows with 27mm astragal glazing bars, finished in ‘Calm Grey’. 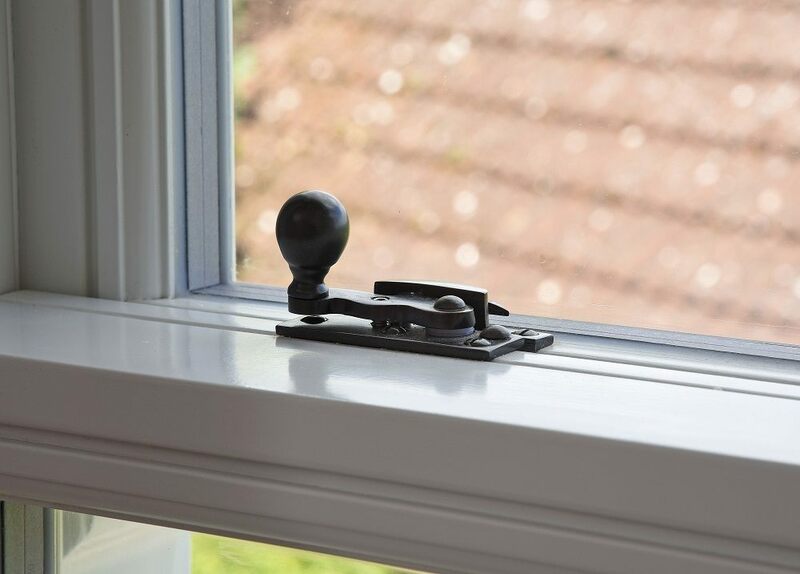 Hidden spring sash window finished in ‘Calm Grey’ with Oil Rubbed Bronze hook fastener. Hidden spring sash window finished in ‘Calm Grey’ with decorative sash horns and 27mm astragal glazing bars. Oil Rubbed Bronze sash hardware.